It is 2046 when a mysterious alien force begins their annihilation of the human race. Leaving behind the one person she loves, Mikako joins the interstellar battle as a pilot. 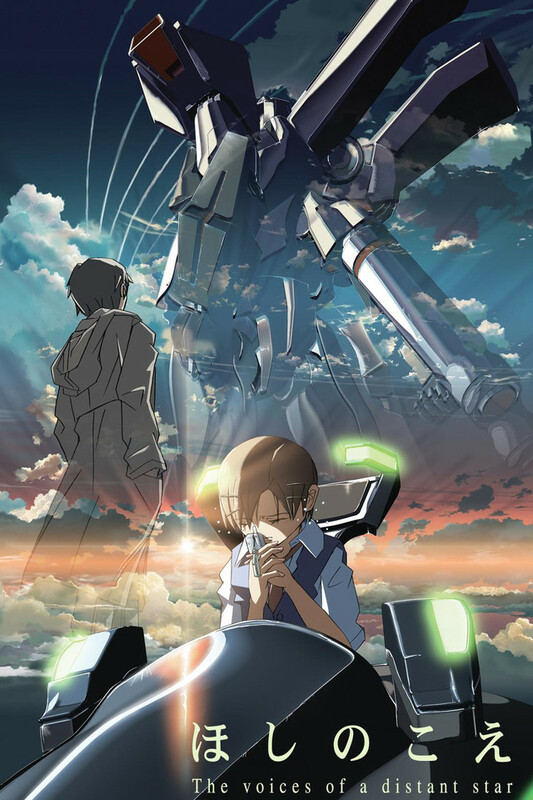 As Mikako flies further into space, her only connection with Noboru are text messages sent from her mobile phone. And so - while Mikako risks her life to save mankind - Noboru waits. At first days, then months, then years for each new message that will let him know whether Mikako is still alive. And, while she barely grows older in the timelessness of space, Noboru ages. The two lovers, worlds apart, desperately strive to remain connected as the gap between them widens at a frightening pace. A spectacular blend of traditional and lush 3D animation, Voices of a Distant Star is a technical marvel and a contemporary masterpiece of storytelling. Voices deftly weaves a tale of interstellar excitement and heartbreaking romance. Don't miss this new animation classic about the tragedy of war and the power of love.